Our Daily Manna is a daily devotional booklet which started in the form of a Daily prayer guide for church members and brethren in a form of two printed sheets. 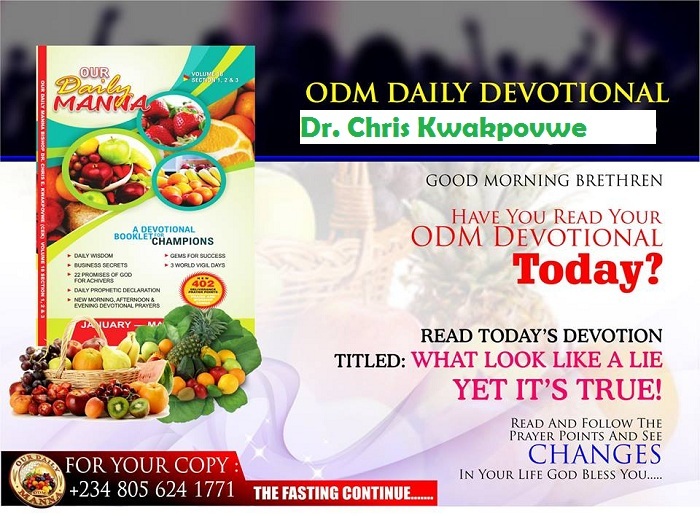 The author of the ODM Bishop Dr. Chris Kwakpovwe was led by God to convert the daily prayer guide to a daily devotional, which as a result, by divine leading, has helped so many homes and individuals. He is also the founder of the various Manna Prayer Mountain (MPM) Worldwide, the publisher of the daily faith lifter, the daily terrorist of Satan/his cohorts and the amazing daily dream lifter. ODM was solely sold and distributed by members of the ministry who has no job. They use this as a means of survival. With their help It has gone into the outermost parts of the world, and today it is being distributed worldwide by local and international distributors, sold in churches, bookshops, streets and street corners, hospitals, prisons, orphanages, Bureau centres and all corners of the world. Today ODM has been in use in all homes, it’s practically become an house hold name. Bishop Dr. Chris Kwakpovwe (author of ODM) is a dynamic man of God with strong prophetic, healing, preaching and teaching ministries. 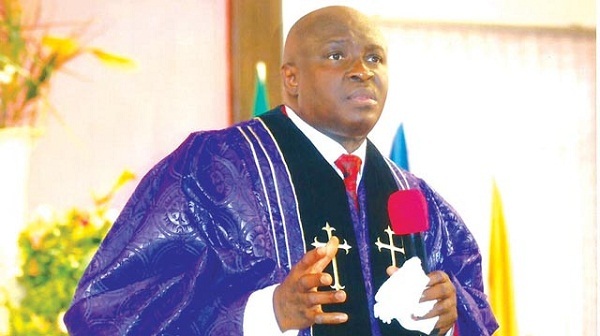 Since he met the Lord and got born again on February 3rd 1976, as a student at the prestigious government college Ughelli, Delta State of Nigeria, he’s been preaching the word in Creeks, Villages and cities with signs following. Bishop Dr Chris K. is a qualified pharmacist (1983) from the University of Ife in Nigeria now known as Obafemi Awolowo University. Bishop Dr. Chris, an anointed writer, who has been through the crucible of life’s strong battles and afflictions, writes from a deep burden and experience that provokes daily compassion for the bruised (Luke 4:18)! Based on the unique heart of compassion of Bishop Dr. Chris and a strong vision born out of the deep furnace of affliction, he believes that toil (hard work), stubborn determination, daily solitude and prayers are the engine rooms of every true-life success story! 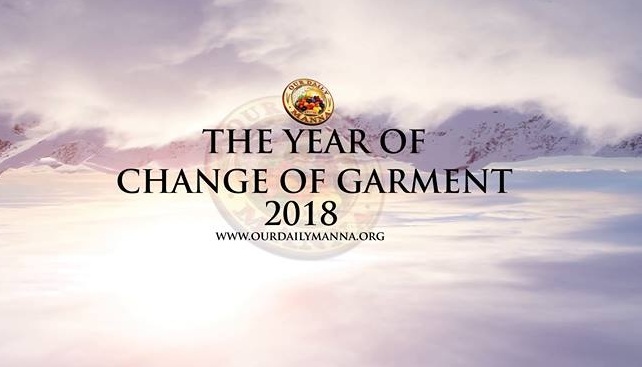 Our Daily Manna devotion can also be viewed online through the different platforms. Our daily manna app is available for proper reading and understanding of the word of God. Available for download on Google play store. Our daily manna online (www.mobileodm.org) is also a platform designed for easy search. It’s easily accessible to all. Its concept is concerned with bringing the word of God closer to all around the world by one click since the world has been revolutionized by technology. To God be the glory ODM has been of tremendous help to families all over the world. Lots of testimonies have emanated from the reading of the Our Daily Manna. Through his writings and by the leading of God Bishop Dr. Chris Kwakpovwe has successfully fulfilled purpose and his visions have been actualized by the spread of ODM all over the world.